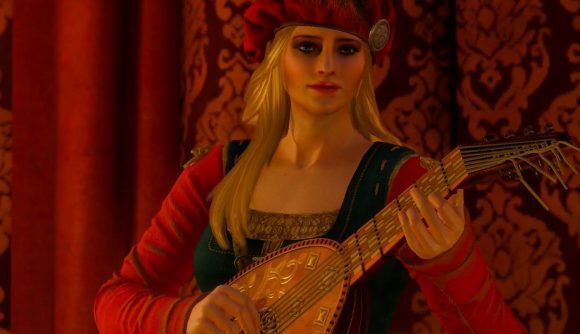 A Croatian composer has accused CD Projekt Red of ripping off one of his songs as part of The Witcher 3 soundtrack. Elvis Stanic says that the song titled ‘Widow-maker’ on the official soundtrack pulls from a previous composition of his, and that The Witcher 3’s version of the track is violating his copyright. The song itself has roots as a traditional folk number, but Stanic says his arrangement alongside vocal group Putokazi is properly registered as a copyrighted original composition. Stanic says he’s received no response from CD Projekt, and though the song’s no longer available on music services like Spotify and Google Play, it’s still being sold as part of The Witcher 3’s vinyl soundtrack. Stanic’s allegation was reported earlier this month by Polish outlet Gry-Online and its English sister site Gamepressure. CD Projekt has yet to respond to Stanic’s statement. We’ve reached out to the studio for comment, and will update if we hear more. You can hear Stanic’s composition below. And here’s the relevant track from The Witcher 3. If you want to make the most direct comparison, listen to 0:20 of the CD Projekt version alongside 1:01 of Stanic’s. Witcher author Andrezj Sapkowski sought unpaid royalties from CD Projekt last year, so it’s certainly not the only time the studio has faced a legal battle over the series. That case was reportedly settled out of court, but it remains to see what the results will be here.